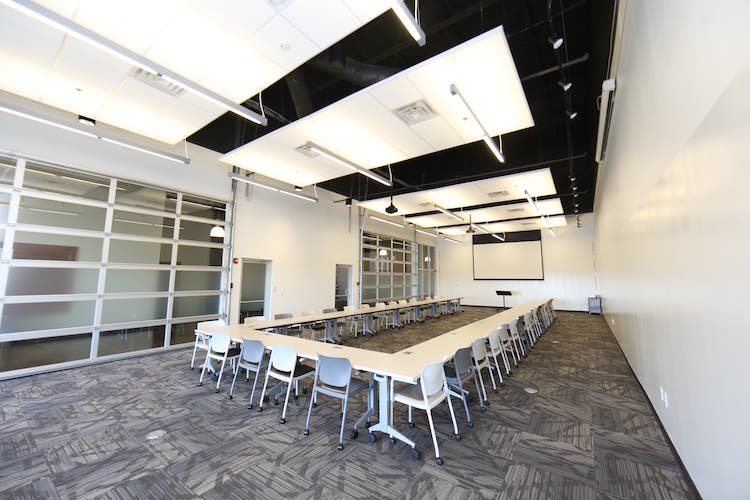 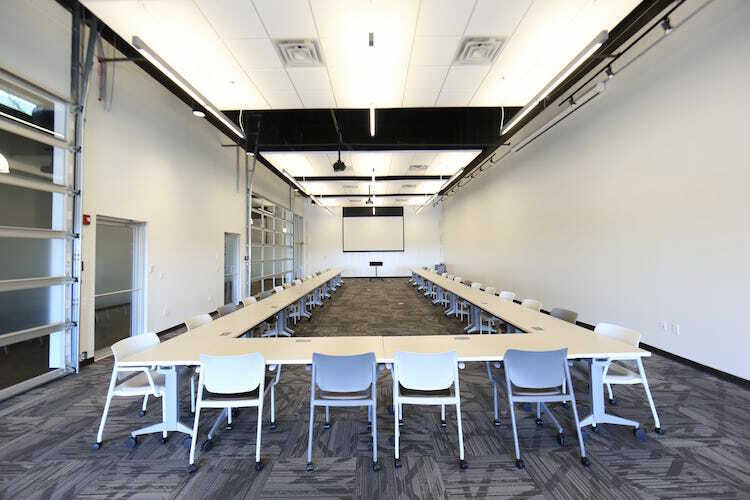 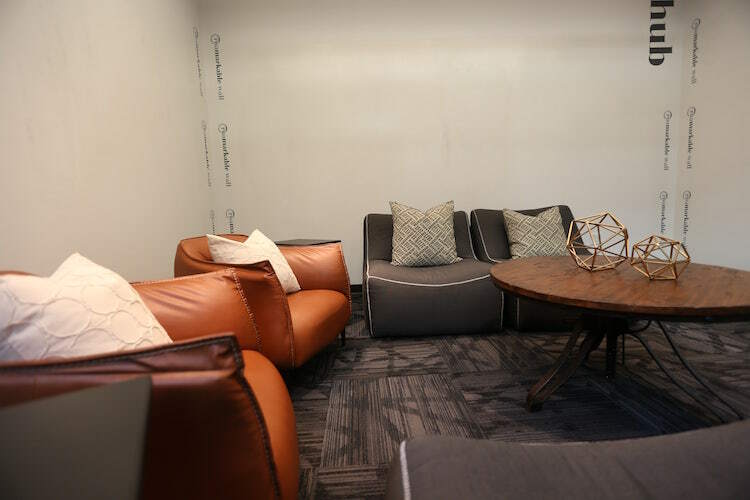 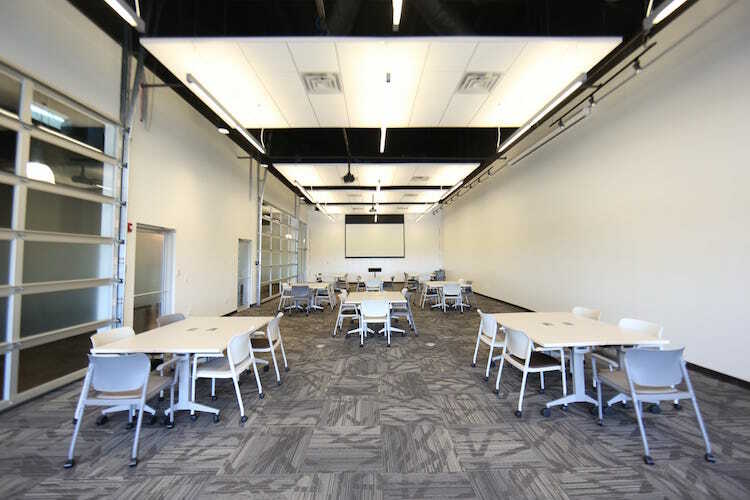 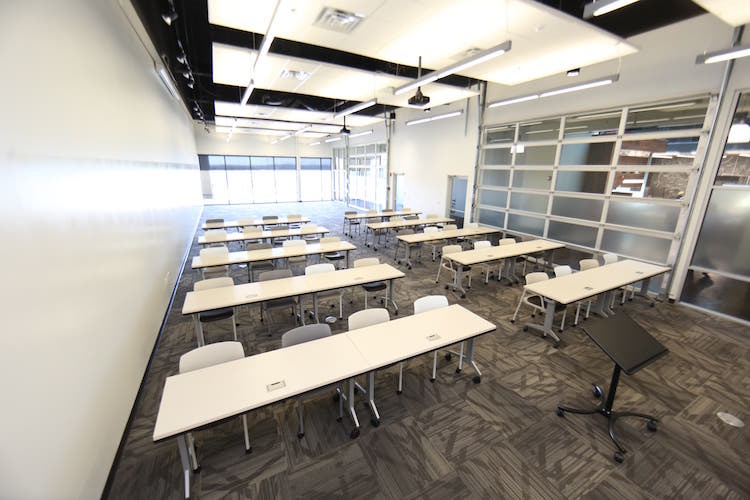 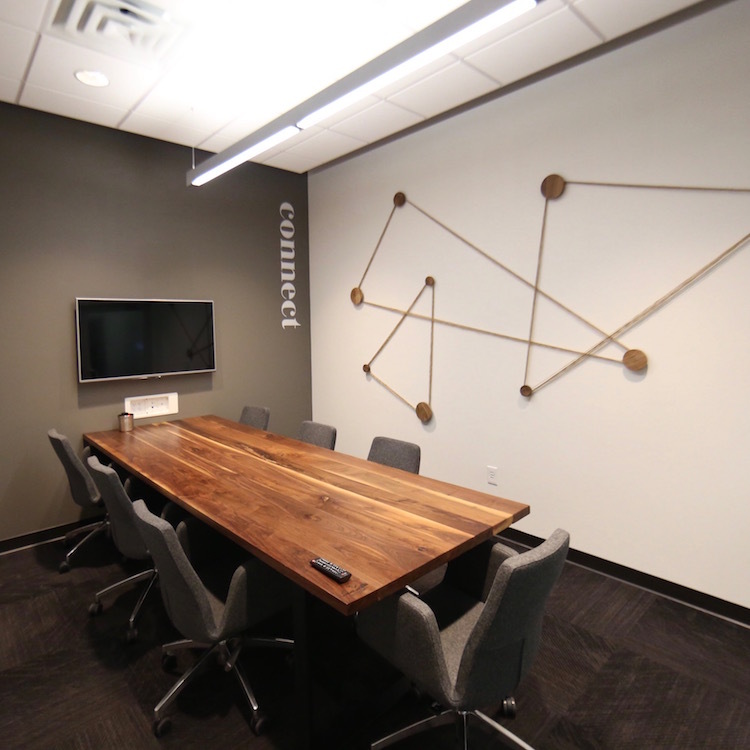 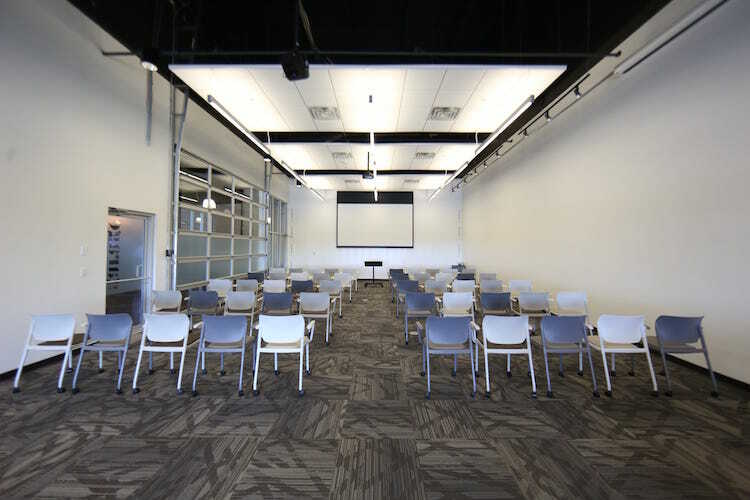 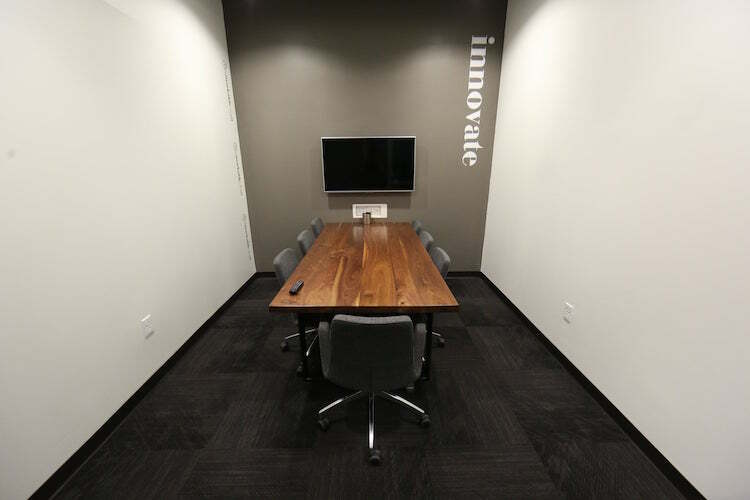 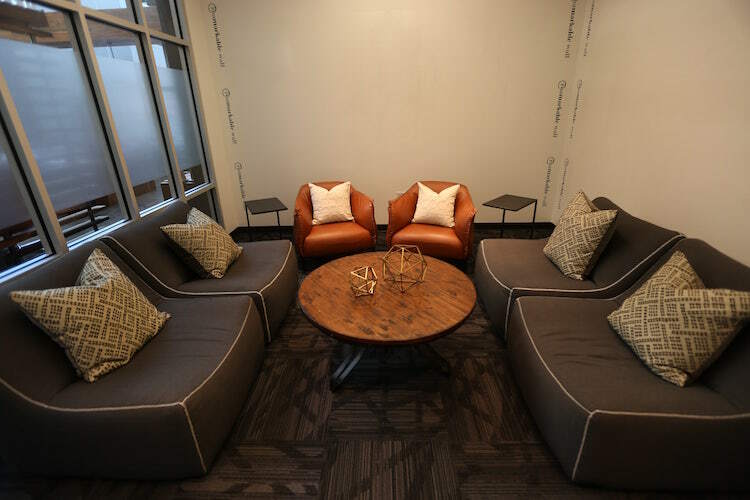 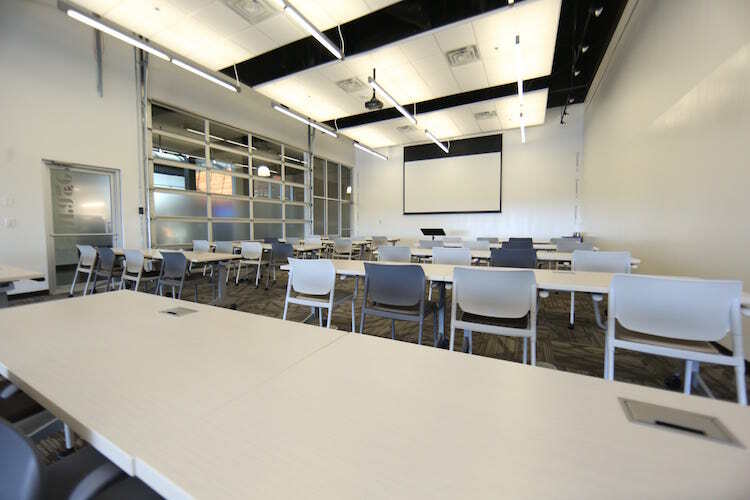 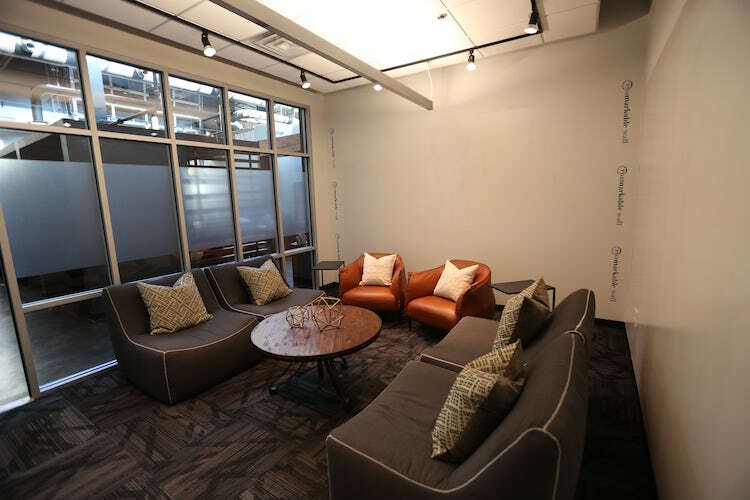 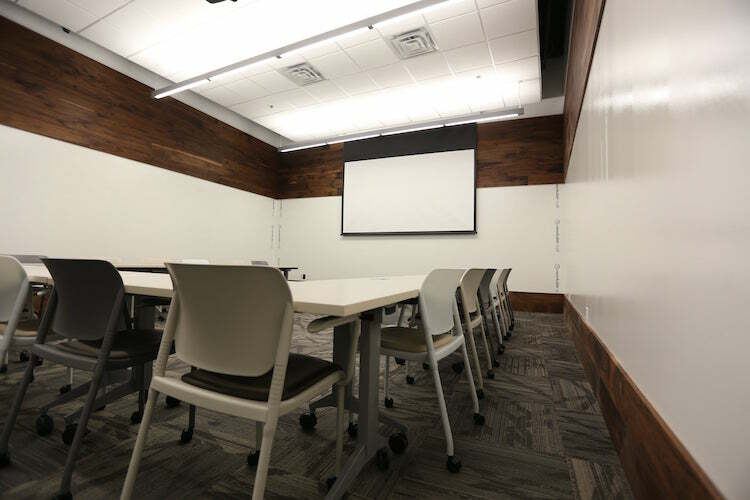 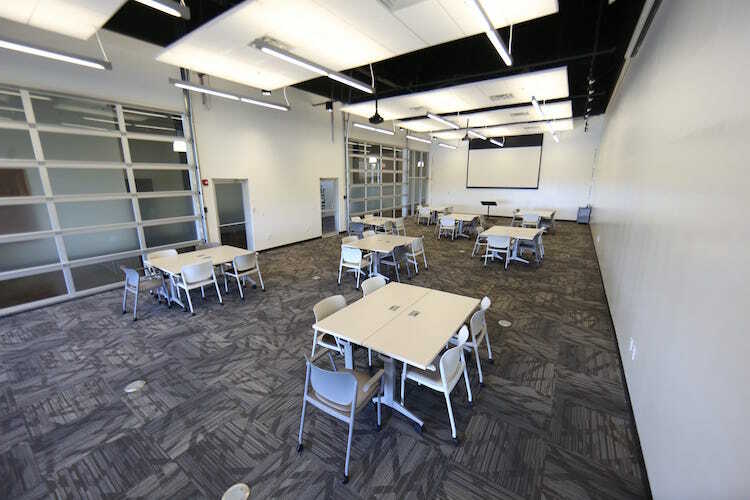 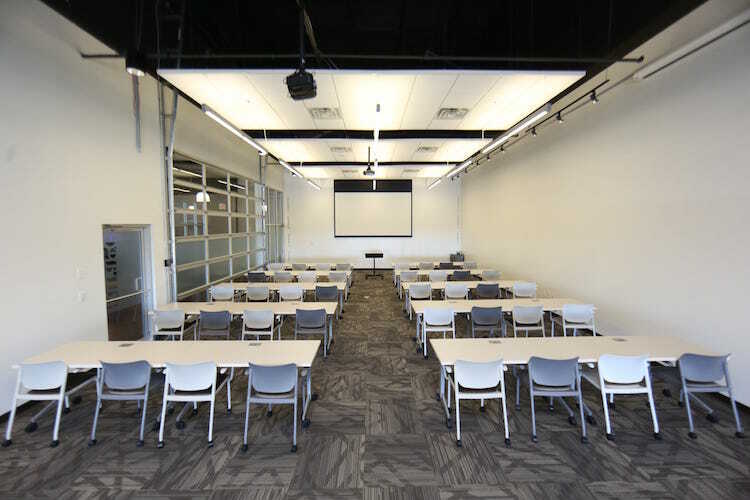 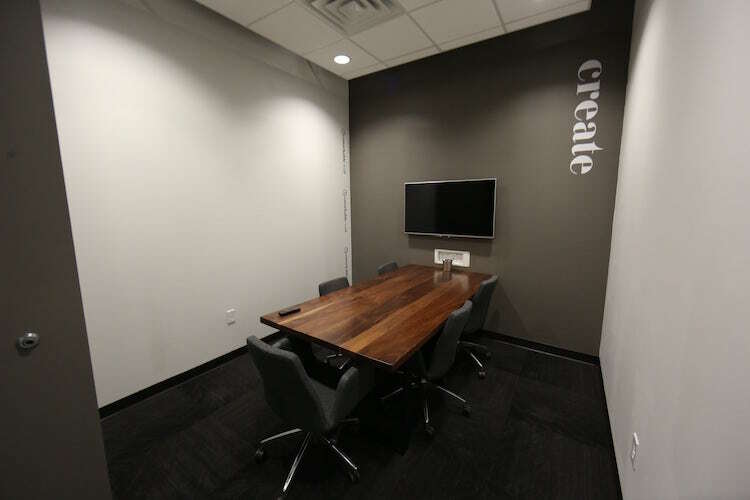 Serving as Roam Galleria’s largest meeting room, the Garage allows for customizable seating arrangements and offers two large whiteboard walls for brainstorming and ideation. 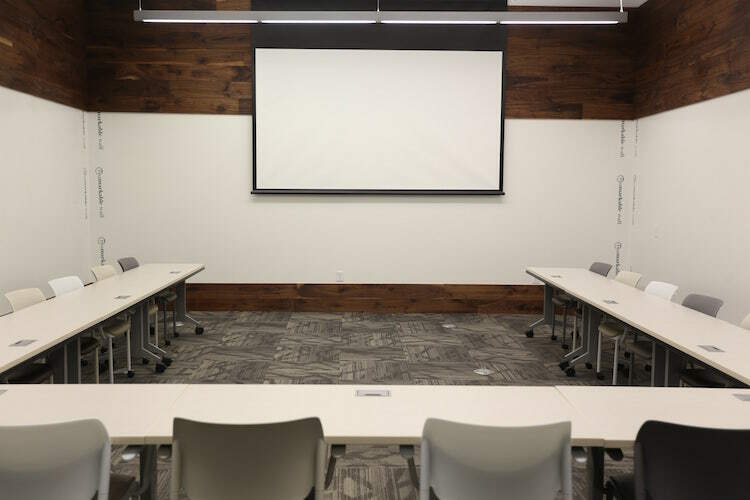 Two, retractable garage doors and floor to ceiling windows give warmth to this workspace and make it the ideal meeting room for large events, workshops and training sessions. 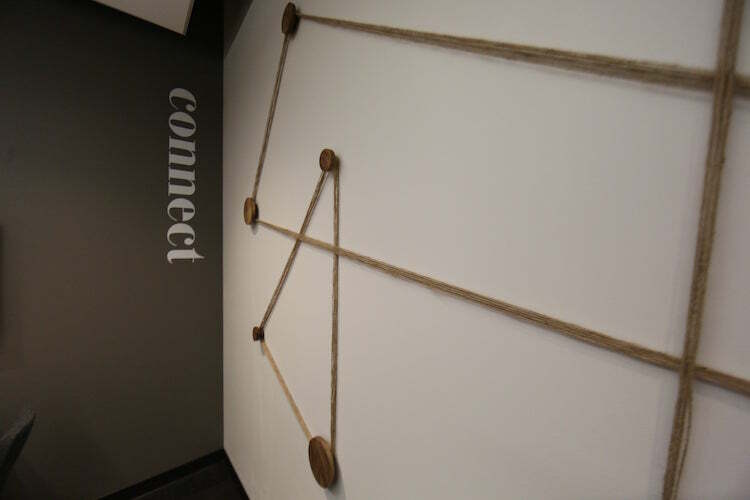 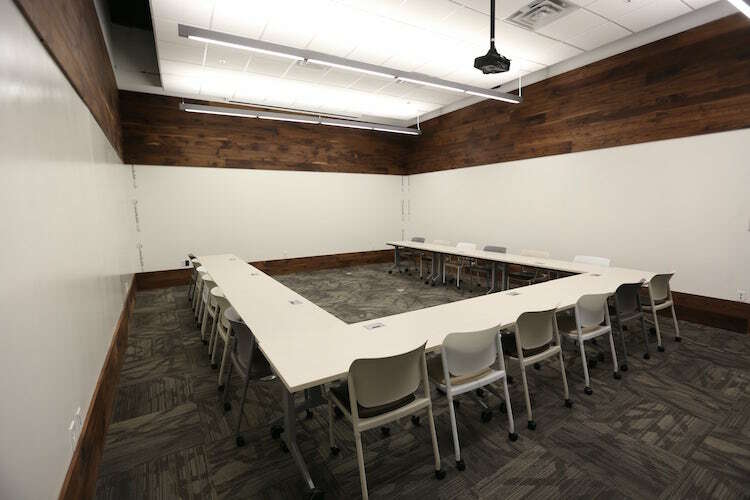 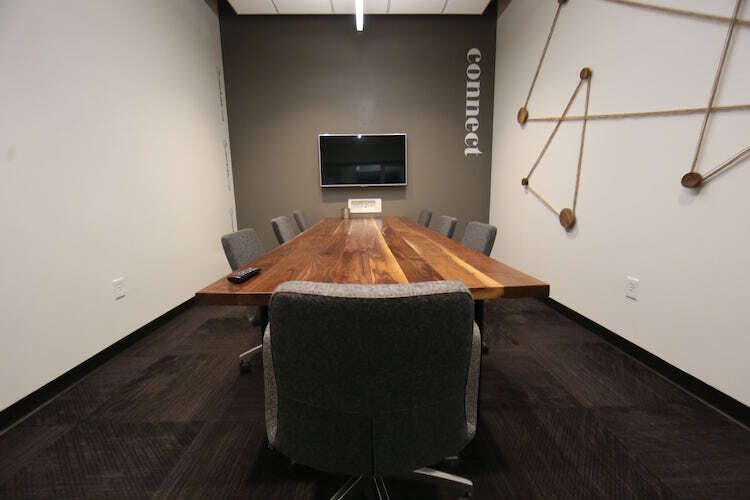 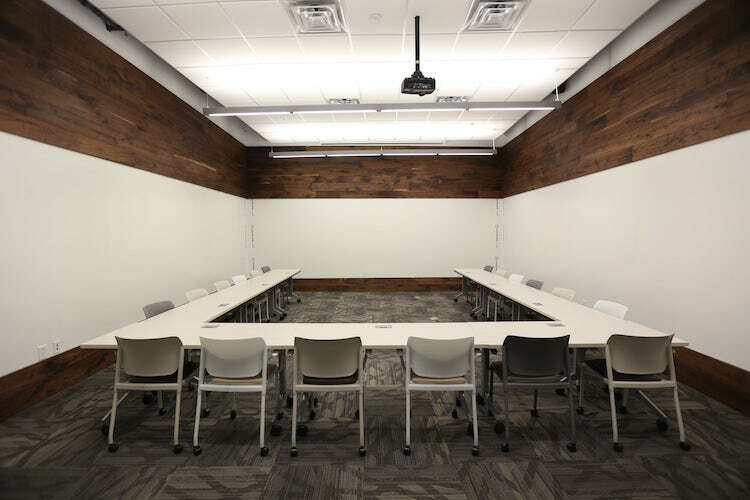 Three whiteboard walls trimmed in a wood detail add warmth and energy to this meeting space. 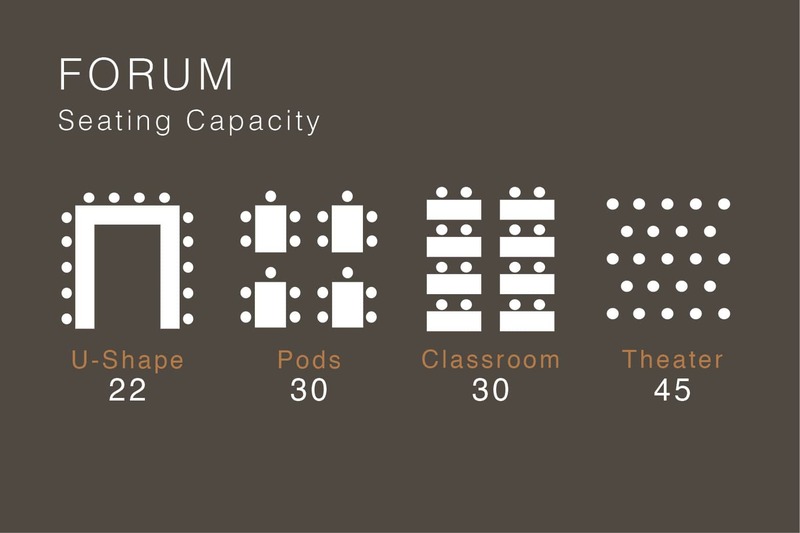 Designed to enhance productivity, innovation and collaboration, the Forum is an ideal workspace for department meetings, interactive lectures and training workshops. 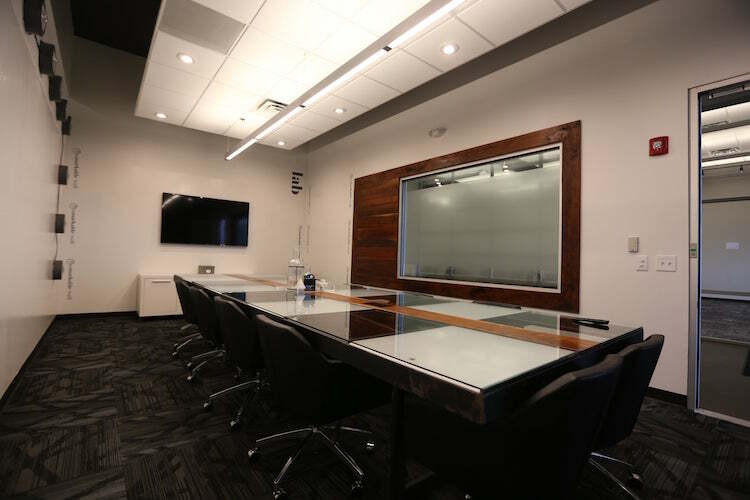 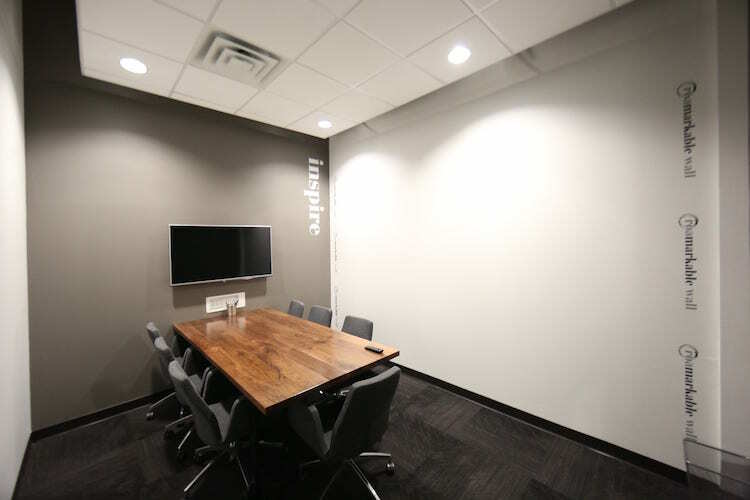 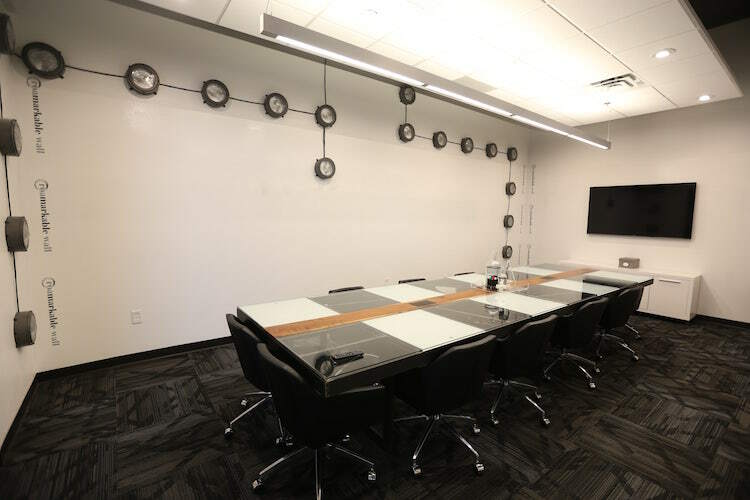 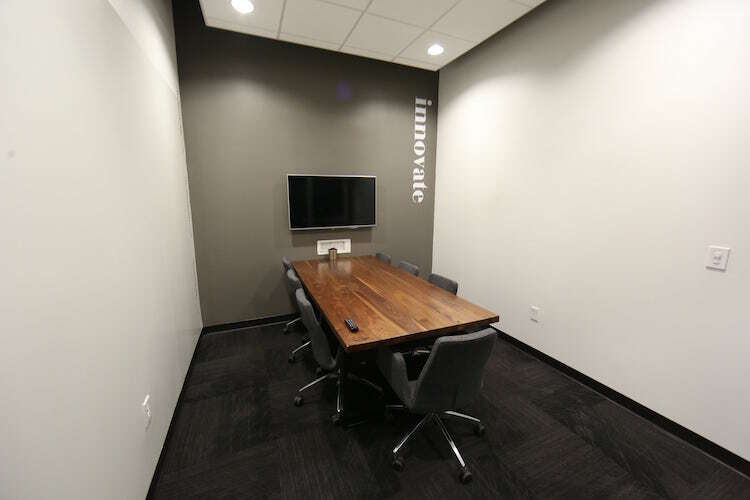 Your team will be inspired when working in this board room featuring two whiteboard walls, a dry-erase conference table and one-of-a-kind lighting details. 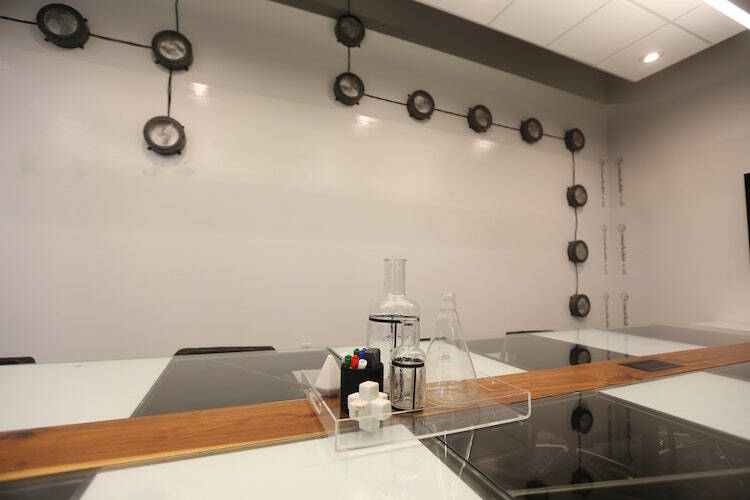 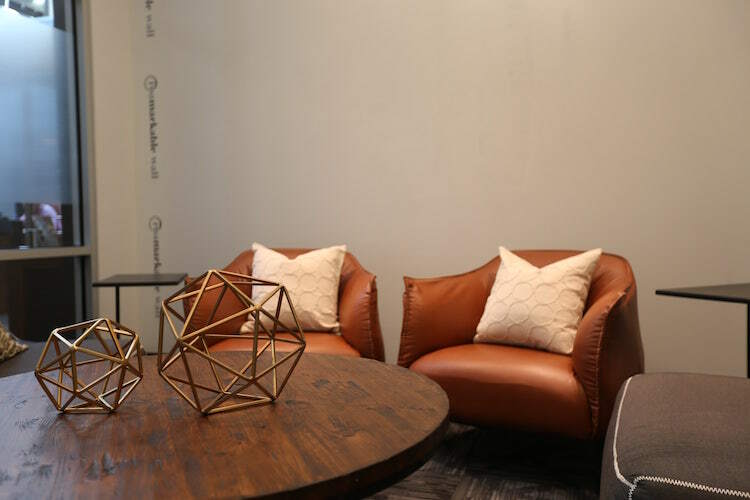 Perfect for brainstorm sessions and strategy meetings, the Lab is designed to motivate your inner creator, innovator and visionary. 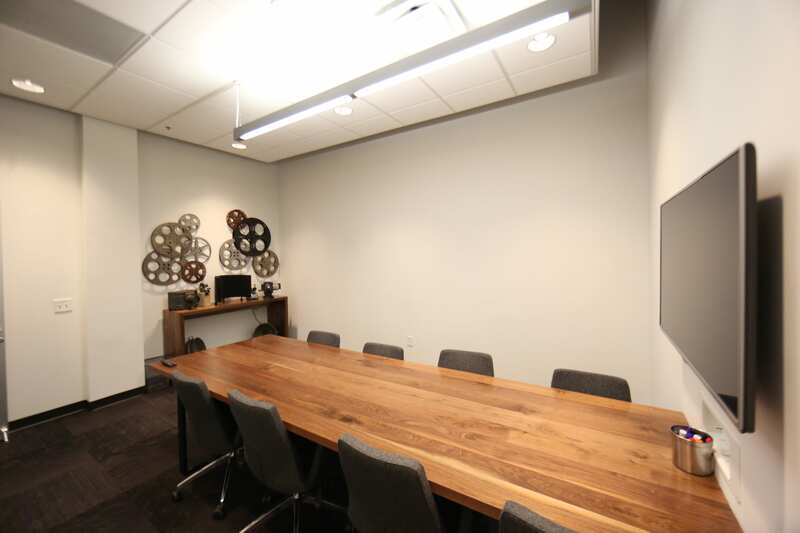 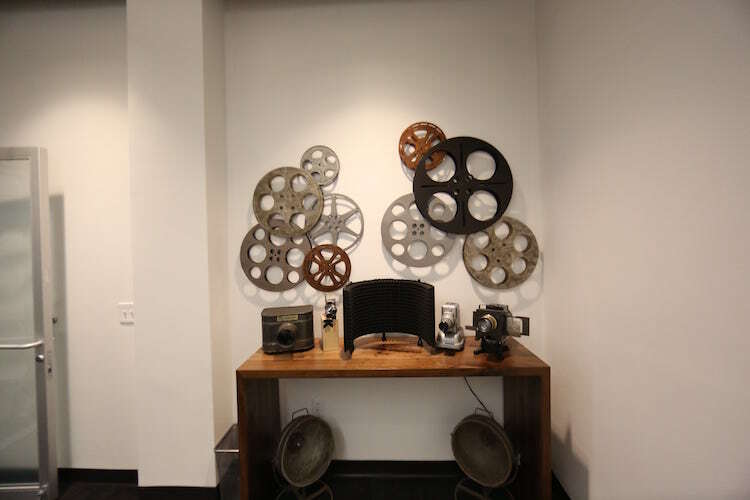 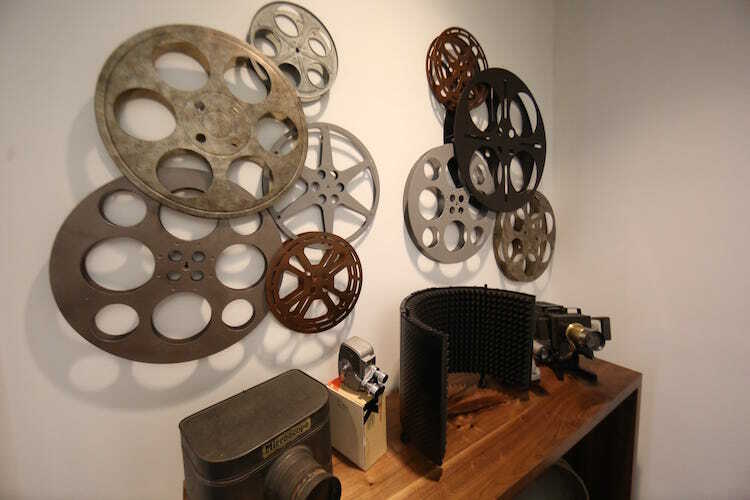 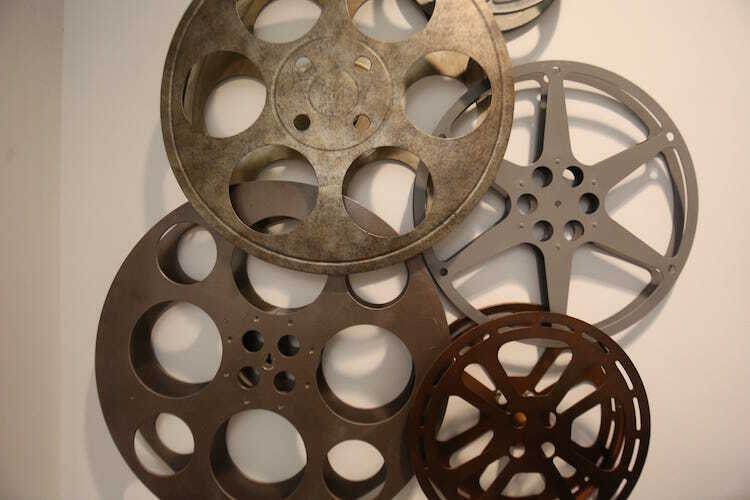 Roll out the red carpet for your clients in this film-inspired conference room. 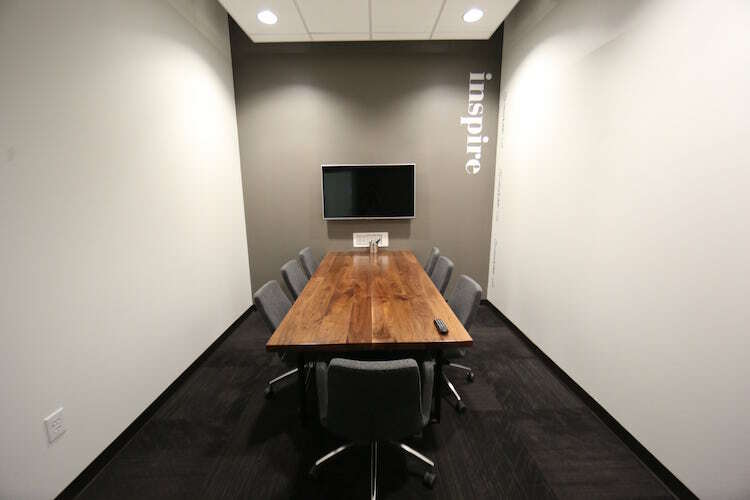 A spacious room and studio-themed decor will enhance your meeting experience with inspiration and creativity. 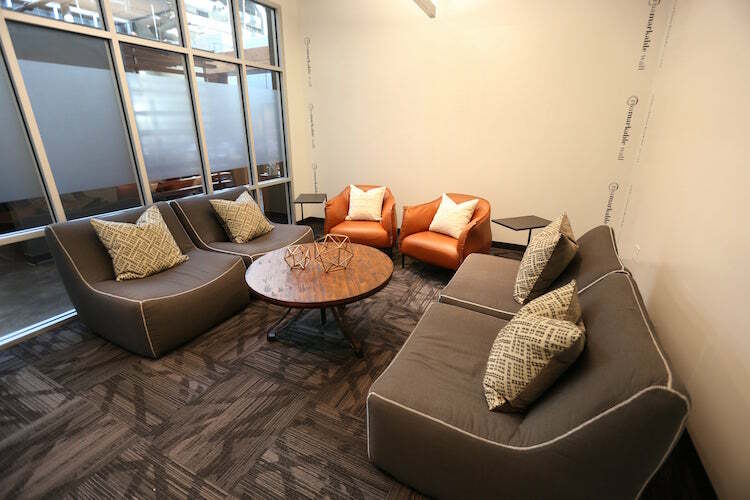 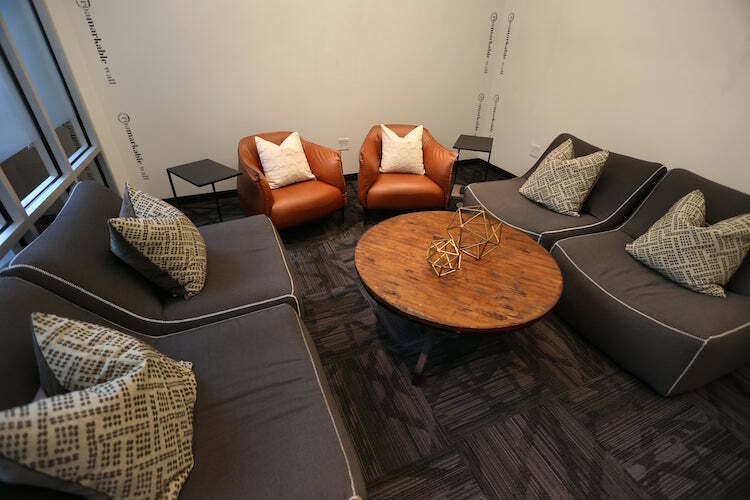 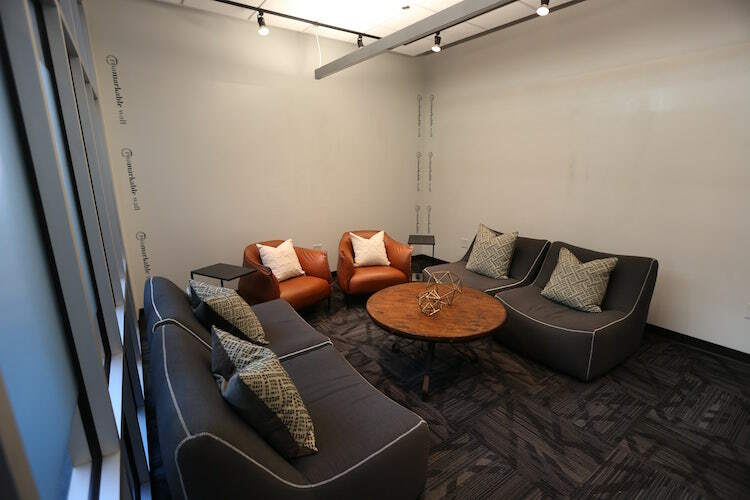 The Hub’s inviting setting and relaxed seating spur creativity and provide an ideal place for brainstorming, strategizing and team building. 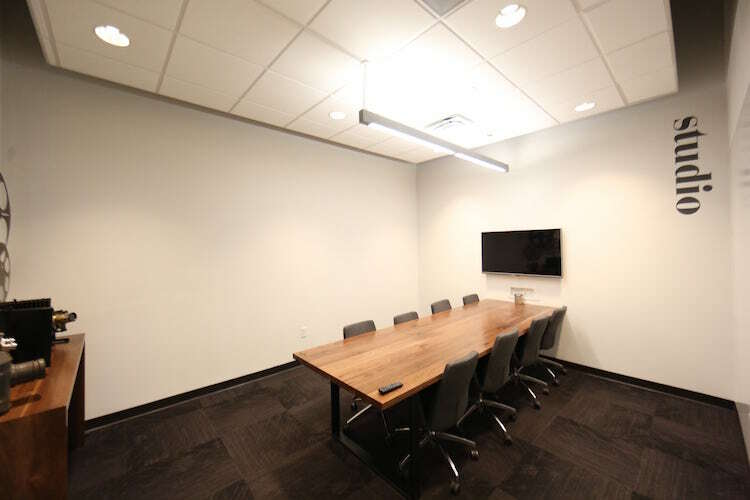 This casual and engaging meeting room includes three whiteboard walls and seats up to eight people. 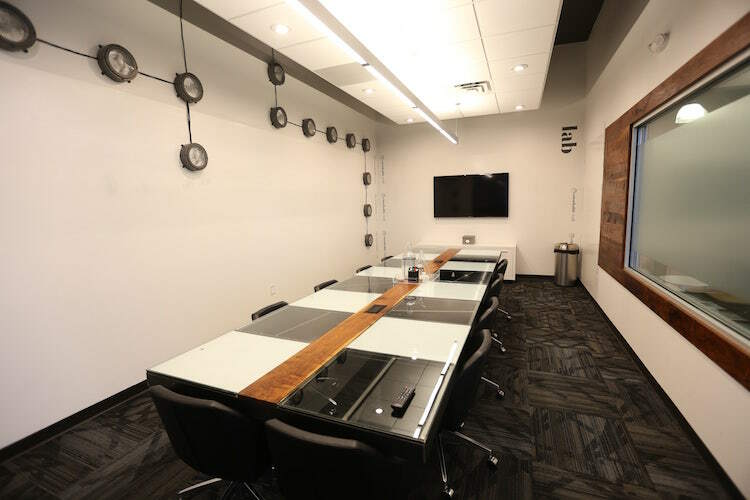 Innovative wall decor and a spacious room provide an impressive setting for client meetings, interviews and presentations. 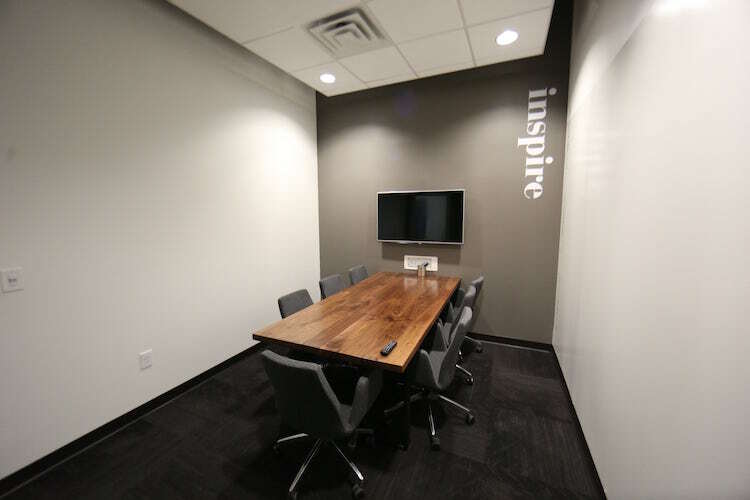 Need a change of work scenery? 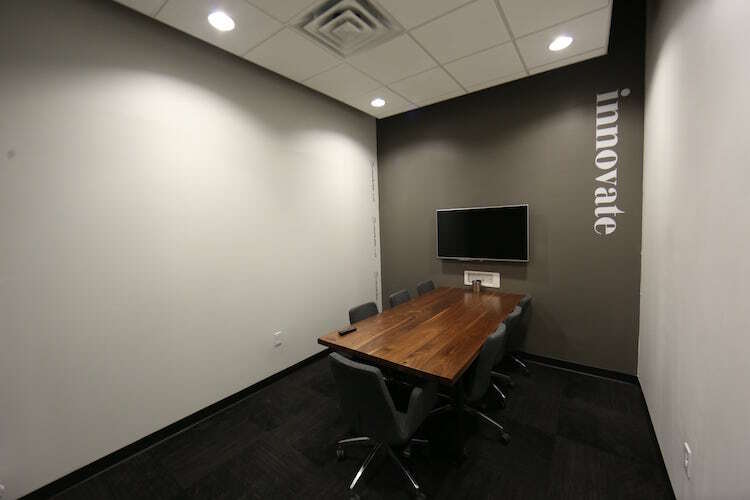 Revive your team’s creativity and engagement when collaborating in an innovation-inspired meeting room. 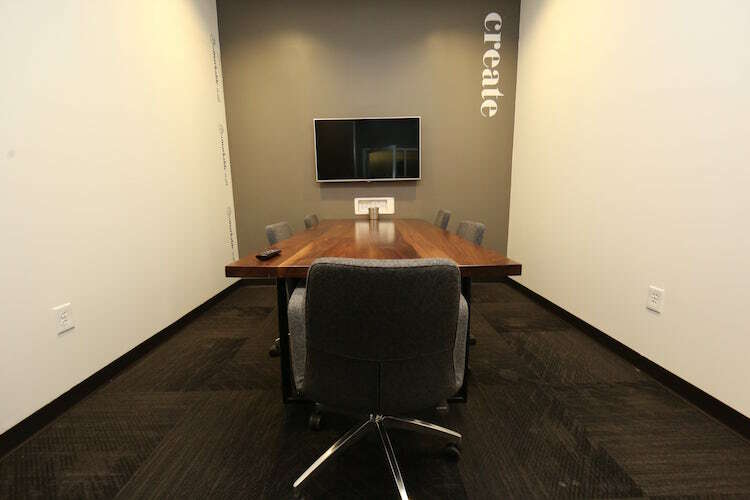 Enjoy enhanced productivity, inspiration and focus when developing business proposals or creating marketing content in #7 Create. 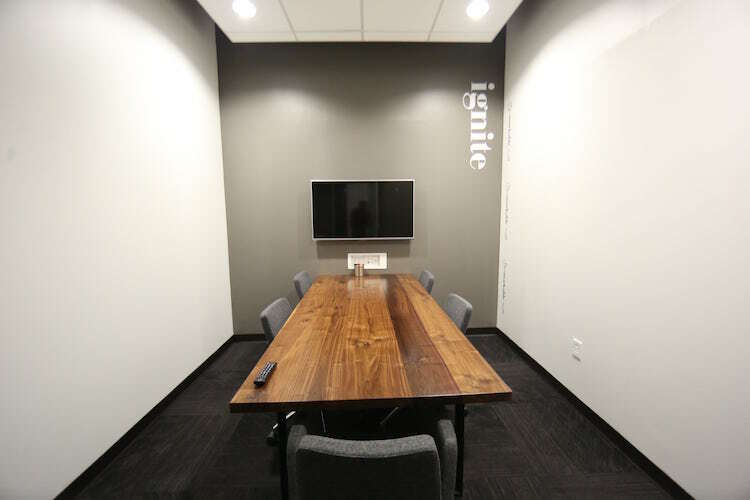 Take your team offsite for a collaborative work day in #6 Ignite. 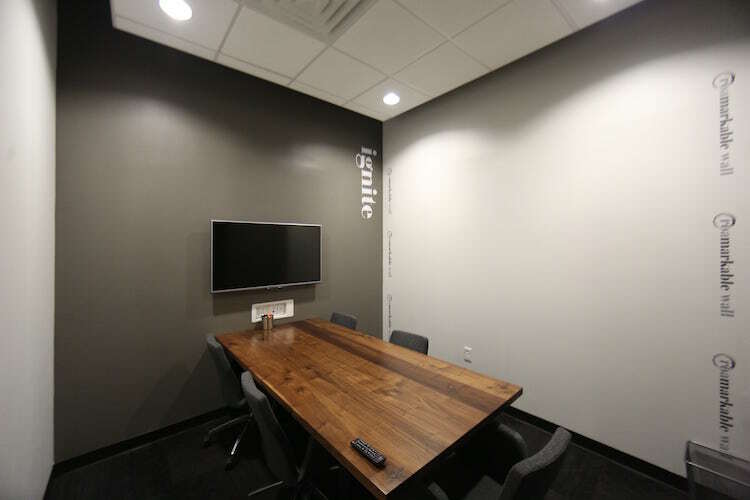 An innovative environment, whiteboard wall and HD display will energize your coworkers and enhance engagement. 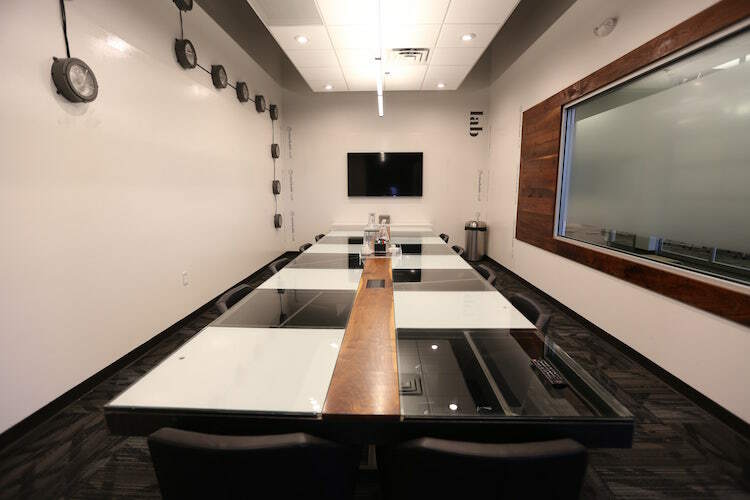 With 80 square feet of whiteboard space, innovation and creativity is limitless in this conference room accommodating groups of up to seven people. 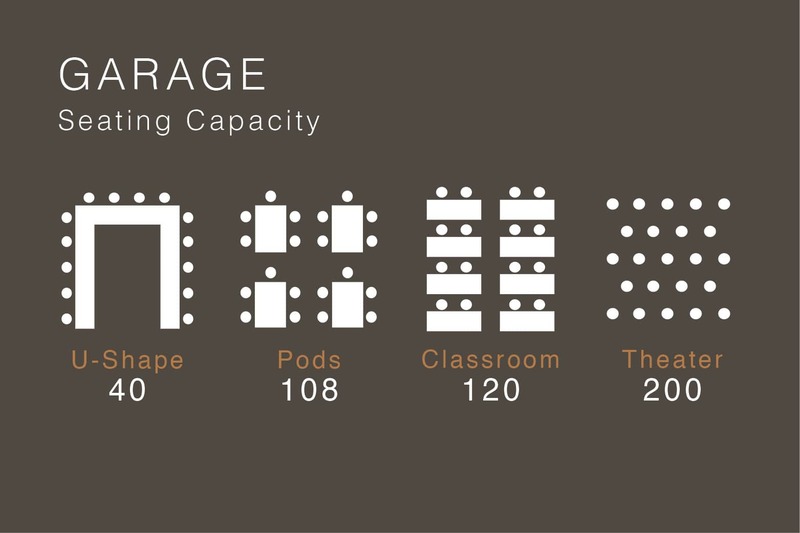 But let’s not get too carried away. 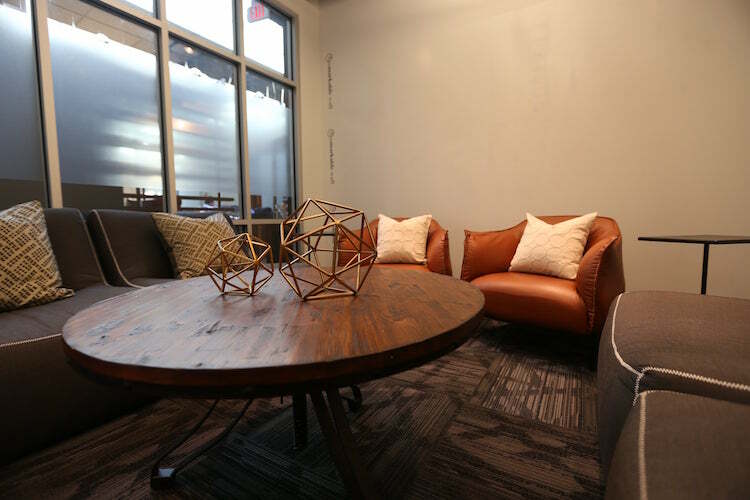 We’d appreciate you keeping our ceiling, custom wood table and carpet Expo marker free!